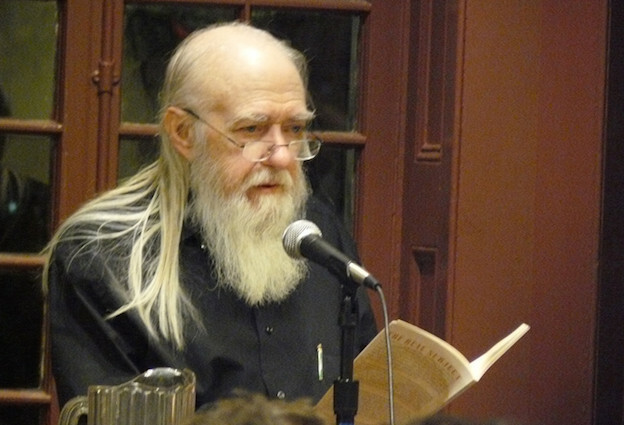 Keith Waldrop reads at the Kelly Writers House, 2009. Editorial note: The following has been adapted from a Close Listening conversation recorded November 5, 2009, at the Kelly Writers House for PennSound and Art International Radio. Keith Waldrop was born in Kansas and attended a fundamentalist high school in South Carolina. His pre-med studies were interrupted when he was drafted to be an army engineer.